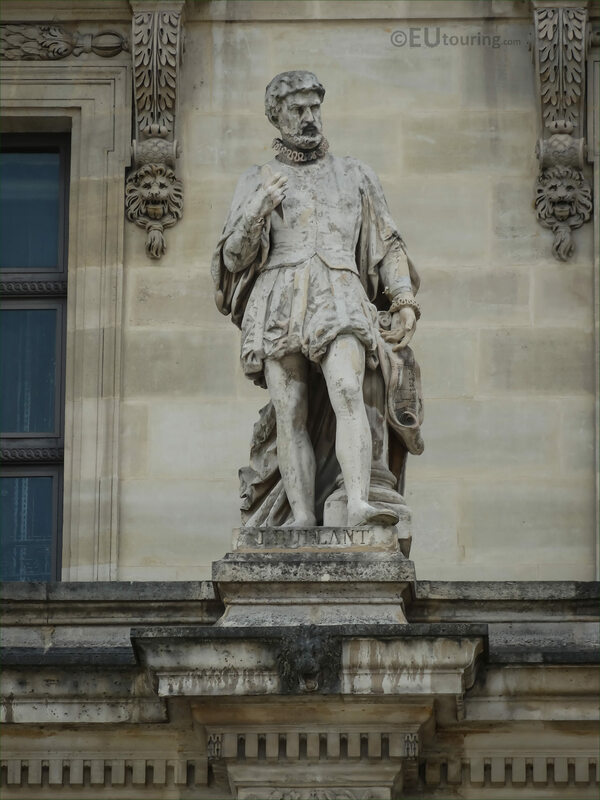 This time we were actually in the Cour du Carrousel in the 1st Arrondissement of Paris looking at one of facades of the Musee du Louvre called the Aile en retour Mollien, when we took these high definition photos showing a statue dedicated to Jean Bullant by Pierre Robinet. 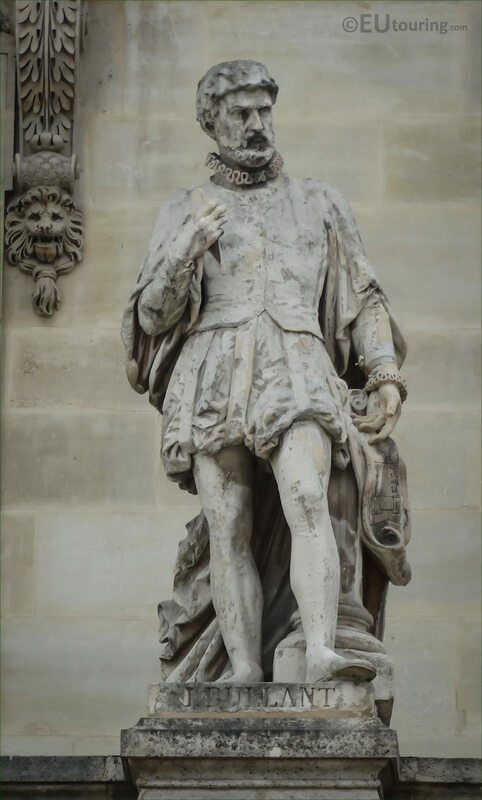 This first HD photo of the stone statue depicting Jean Bullant is located on the first level of the Aile en retour Mollien wing, which is classed as within the Cour Napoleon courtyard of the former Palais du Louvre, yet to see this and the other statues on this facade you need to be standing in the Cour du Carrousel, and this one is positioned second from the left hand side. Now, Pierre Marie Nicolas Robinet was born in Paris in the October of 1811, and becoming a French sculptor, he produced numerous different statues, monuments and busts of famous people, including this statue of Jean Bullant, prior to passing away in the same city in 1878. 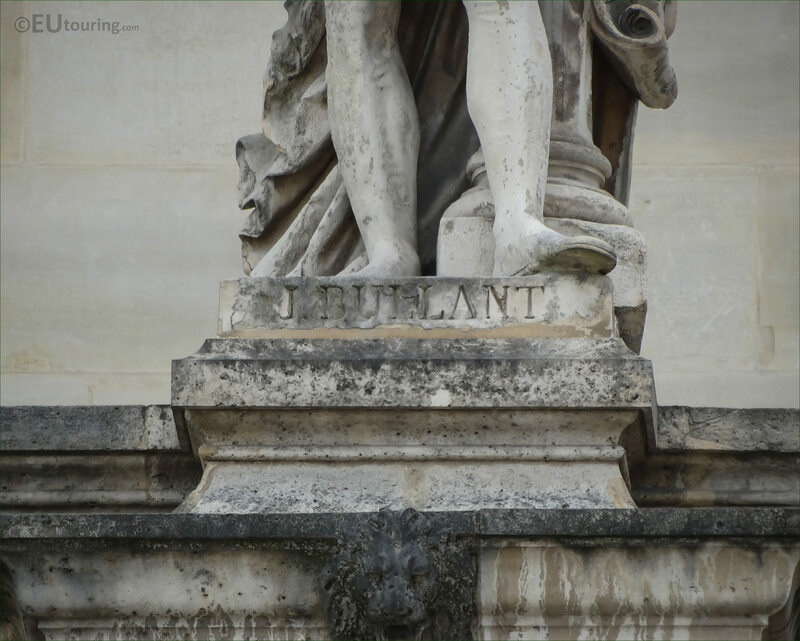 With this last image you can see the name inscription on the base of the statue, which is dedicated to Jean Bullant, who was born in 1515 and became a French architect and a sculptor, who worked on many historical and famous tourist attractions in Paris and France, including the Palais du Louvre, but also the Chateau Chantilly and the Grand Gallery of the impressive Chenonceaux Castle that spans the river in the Loire area.